10/5/17 Linda W. - I was in the market for a home in southwest Florida. I was looking for second home, which will eventually, become a permanent home. I didn't have a lot of knowledge of the area so needed someone who could tell me the pros and cons of SWFL. Jonathan Burg is knowledge in all areas from Naples to Cape Coral. We looked at a lot of home (I greatly appreciated the patience!) and could narrow it down to a great community exactly in my price range. What makes Jonathan Burg stand out is the overall level of customer service. Jonathan is very responsive, made the time for my millions of questions, and guided me through the process without a hitch. I am happy to recommend Jonathan Burg to all of my friends & family from the Midwest when they make their move to SWFL. I'm lucky to have someone I know will be there to help them find the perfect Florida home! 9/4/17 Karrie N. - Jonathan Burg was extremely helpful, knowledgeable, and diligent. The home buying process was much smoother due to his efforts. I am thankful I chose him to represent myself and my family. I would definitely recommend Jonathan Burg to anyone in the home buying or selling process. Jonathan is a true professional and a great guy! 8/2/17 Craig T. - Jonathan Burg a hard worker who will stop at nothing to help his clients get what they want. He is knowledgeable of the SW Florida area & very well connected. He had found us the perfect family home in Naples in 2008. When we had to move in 2011, he listed and sold our house within weeks at close to asking price. In 2015 he listed and sold our Naples condo @ 99% of asking. No one else in the area would have worked like he has for us, and we couldn't have asked for anyone better as our agent. 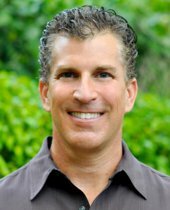 We always recommend Jonathan Burg to everyone, as he will put in 100% effort to help you find or sell your home. 7/30/17 Uday P. - Jonathan Burg is very knowledgeable about the area. He is extremely helpful and professional. Jonathan showed me homes in Estero, FL and advise me what to look for it. He was able to negotiate the best price for me. He also helps you anyway if he can. Great guy and wonderful real estate agent. I highly recommend Mr. Jonathan Burg. 6/30/17 Thomas W. - Jonathan Burg was absolutely great with our home sale! Knew the market inside and out. We were anticipating a longer time on the market (4-6 months) based on the time of year and market we were in, but Jonathan worked with our schedule to get multiple showings at our convenience on a constant basis and we were under contract in a matter of three or four weeks. He was courteous, professional, and responsive in every aspect of the process. Jonathan certainly made our home sale, and move to AZ, much less stressful than it could have been. 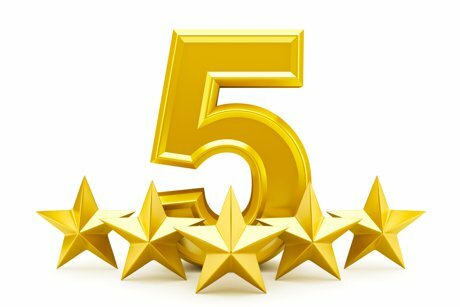 FIVE STARS FOR JONATHAN BURG! 5/27/17 Kyrstal R. - Jonathan Burg is both knowledgeable and professional. We were under a tight timeline to find a home and not only did he do just that, but he found us our dream home! We highly recommend Jonathan Burg to every one of our friends & family. 4/19/17 Leslie P. - Jonathan Burg helped us buy our first house. An exciting, but very, very stressful time as well, luckily, we had Jonathan on our team who made us feel relaxed and assured that we're in good trustworthy hands. I highly recommend Jonathan as a Realtor. 4/8/17 Wendy A. - We recently closed a new home sale with Jonathan Burg. The sale was very difficult because of some serious issues on the seller's end. Jonathan Burg diligently stayed on top of everything and worked hard to make the sale come to a successful ending. Not sure it would have with someone else. Plus, he is a super nice guy! No high-pressure tactics and he really does not encourage a deal unless he thinks it is a good fit. I will, and already have, recommend Jonathan Burg to everyone I know looking to buy or sell a home. 3/1/2017 Tabitha K. -Tom and his team at flhousehunters helped us get out of our rental and purchase our dream home. We weren't even sure we could purchase until speaking with him! His guidance helped us realize a dream we weren't even sure was a possibility. He made himself available to us, was honest and knowledgeable about the area and the entire purchasing process. He answered countless questions and worked within our schedule. His thoroughness, understanding of exactly what his clients are looking for and keen eye helped us find our forever home in our first time out. We were hooked up with a team of true professionals for each part of the process that made it a smooth transition from a mortgage lender to a home inspector. There was never any pressure. Each recommendation was absolutely wonderful to work with. The team put together at flhousehunters plus their extended team that deals with each aspect of purchasing a home is top notch. I highly recommend Tom and his team. If we are ever in the market again, he will be my first call! 2/27/17 Andrew P. - My family and I outgrew our home and desperately needed a larger property. Toms attitude, knowledge, previous successes, and overall dedication to his craft drove us to pick him as our Real Estate agent. Tom and the Flhousehunters team listed our home and had a full price offer within 48hrs. Tom was able to find us a replacement home in the same amount of time which in the end we paid well under list price for. We couldn't be happier with the end result. We were able to move a few streets over which was very important to us. We have already referred Tom business and will continue to do so. 2/5/17 Private - We were relocating to SW Florida due to my job and had very limited time to find our new home. Tom and the Flhousehunters team were exceptional. He knew the area very well and helped us find a home that met all of our needs. Tom was efficient and thorough when showing us properties. I would highly recommend Tom and his team to anyone that is looking to relocate to the area. 1/31/17 Sean C. - I think Sharon Wainman has the patience and understanding of her customers, I would highly recommend using for all your real estate needs. My wife was very specific of her needs and she too the time to work with her to find the right property for us. Sharon Wainman & FL House Hunters will be listing our old home and selling it very soon. 1/17/17 Samantha C. - Sharon Wainman was so helpful in finding my home! Sharon showed me a bunch of properties and was very patient with me. Sharon did a great job meeting all of my client expectations. I would recommend Sharon Wainman to anyone! 1/5/17 Deb Z. - My husband and I live in NY. Fortunately, we met Donnette Larsen from FLHOUSEHUNTERS.COM. Donnette was fantastic. We looked at about 15 homes. Her team was awesome. There was always one of them available on the spot. I emailed Donnette at 3 am and she got back to me 5 mins later. I don't think she ever slept. Donnette was amanzing and made a long distance transaction an easy one for us. 12/28/16 Matt L. - I recently purchased a home from Tom and the Flhousehunters team. Words cannot convey how happy I was with the whole process. To start with Tom was very knowledgeable with all the areas we looked in for houses, he is a native to the area and only took us to the best of the best in our price range. We visited several homes and with each home he narrowed down what my wife and I liked and did not like. Each house after that was exactly what we were looking for. Once we found our dream home he was aggressive in negotiating a purchase price that was under the asking price and my wife and I were extremely happy. In today's market that is a rare thing to get out of a realtor. Tom was very professional and always on time! I also own a Condo in SWFL and will be using him again to sell. I am 100% positive he is the man to get me the most money possible for the sale of my condo. I don't normally write reviews but after using this amazing Realtor and his team I felt compelled to. I will definitely be recommending Tom to anyone I know that needs help with Real Estate! 12/10/16 Sarah K. - I was in the Estero & Ft Myers area looking at homes. A possible job transfer might bring me to the area very soon. I needed a local Realtor to show me around and educate me on home values in Lee County. Jonathan Burg was very professional and extremely knowledgeable about the area. Without question he will be my real estate guy if luck and good fortune bring me permanently to Southwest Florida. I would recommend Jonathan to all of my family and friends who are looking to buy or sell a home in Florida. 11/19/16 Kelly C. - Jonathan Burg did an excellent job listing our home and getting it sold. I live out of state and he was invaluable getting things taken care of. When a title search showed an expired but open permit, he did a great job putting us in contact with an HVAC company to complete the work and successfully close out the permit, so we could close escrow. Jonathan Burg is very trustworthy and I will recommend him without reservation. 11/5/16 Private - Jonathan Burg is top notch! A true professional and exceptionally good at what he does. He helped us BUY & SELL at the same time which, come to find out, is not a simple process. We sold our home for FULL PRICE! Then Jonathan negotiated a 10% reduction in the asking price on the home we bought. Great job. Highly recommend! 11/4/16 Tracy H. - We bought a house from Donnette Larsen. My wife and I were very impressed at how knowledgeable she was in the different areas of SWFL. She was always there when we had questions. Donnette was quick to respond back to us. If she didn't have the answer, she was quick to get it. Donnette always went over and beyond what we asked and what we were looking for. She is Extremely thorough. Donnette has fantastic negotiation skills. I would highly recommend Donnette Larsen to anyone needing a Realtor. Angela M. - Jon, you were amazing! With 3 transactions all linked together, i don’t know how you did it, but you did. Your attention to detail, constant communication and knowledge of Real Estate are just some of your high points. Truly unbelievable as a Realtor and person! I will recommend you to all of my family, friends and co-workers. For me, YOU ARE THE ONLY NAME IN REAL ESTATE. Thank you, Jon! Don and Rosie H. - Thank you for going above and beyond our expectations. Jon, you made the impossible… possible! your attention to detail and ability to negotiate in our favor during a difficult transaction made your service invaluable to us. we had only a short period of time to sell our home and you made it happen.